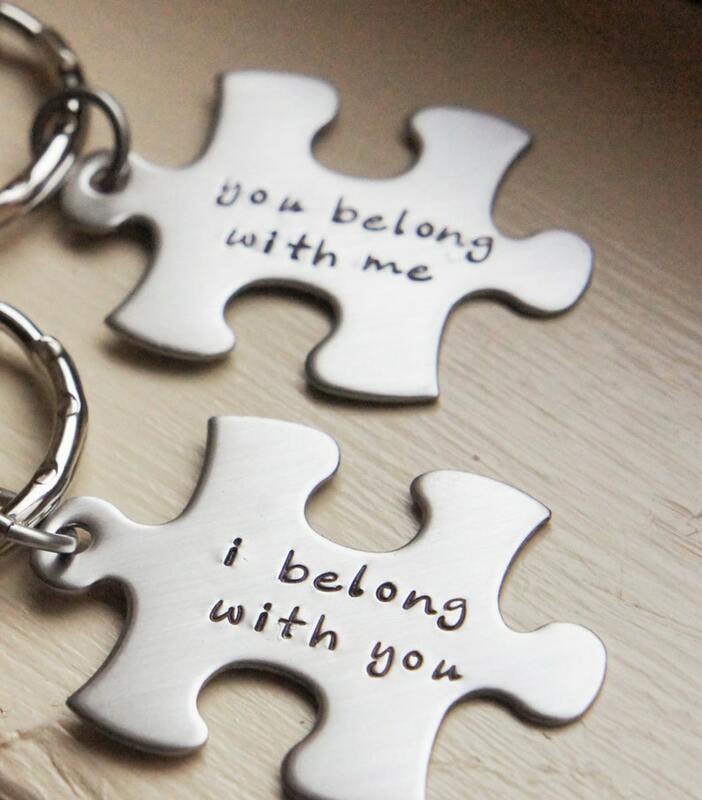 This set of stainless steel puzzle pieces is hand stamped by me with the popular sentiment "i belong with you" and "you belong with me". I give both pieces a lovely brushed finish once they are stamped. Each puzzle piece comes with a hammered stainless steel keyring. The set will arrive ready to give as a gift in a black velvet drawstring bag. These make great bridal shower or wedding gifts and are perfect for Anniversaries or Valentine's Day! They also make great accessories for best friends. You will receive a set of two (2) puzzle piece keychains as pictured. Please contact me before purchase for current production time if time is an issue (current lead time can be found in my shop announcement, right below my shop banner http://www.etsy.com/shop/RiverValleyJewelry?ref=seller_info_count ). Priority Shipping upgrade is availble, but please contact me for a custom listing before purchase if you need the item shipped Priority. 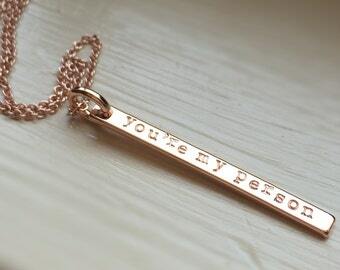 Please check out other great personalized jewelry and gift items in my shop! This is adorable! I enjoy it every day when I reach for my keys. One thought - this design would also be popular in a smaller size as a charm! Thanks.